Since 2012 we have been increasing the level of natural daylight in our factory. Initially we started with our Digital Printing Studio, as this area requires a high level of lighting due to the detailed work that we do there. We were extremely pleased with the results and made a commitment to replicate the results throughout the factory. It is by no means an easy task, as it requires careful planning. We need to access the roof whilst not impacting on our production areas. 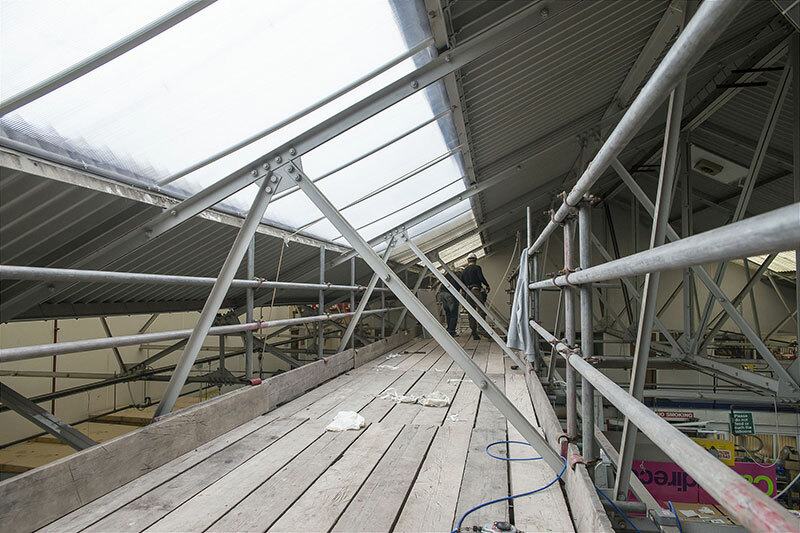 In 2013 however, we completed the latest phase of the project, and replaced another run of the skylights above our main assembly workshop and offices. 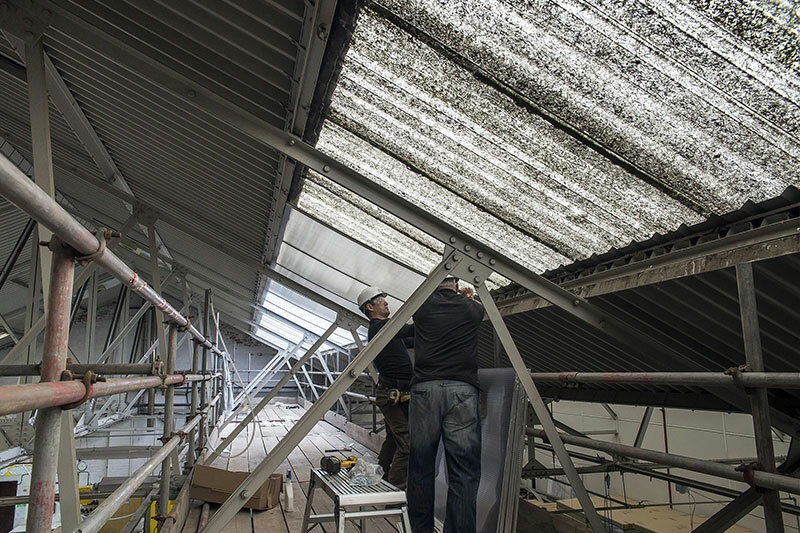 At the same time we also installed secondary insulation panels to the studio and workshop skylights. Whereas before our workshop and offices relied on continuous use of internal lighting (albeit our own highly efficient LED units), we now estimate that these areas have reduced their overall use of lighting by as much as 30%. For example, even in January the factory lights are generally switched on in the early morning and late afternoon. So effective is the transformation that in conjunction with the skylights, we have re-wired the lighting in our office space and provided staff with individual pull switches above their desks, enabling them to control their own task lighting around their workspaces. Environment, Health, Safety & Quality Coordinator, Graham Barker said: “This is just the latest in a long line of innovative solutions that we have implemented, aimed at reducing our energy consumption, increasing our efficiency, and reducing our carbon emissions. In December we were given the prestigious Carbon Trust Standard, and just last week we passed our ISO14001 audit. All the measures we implement go towards achieving our goals, targets and commitments”. Managing Director Chris Benson said: "It's very satisfying to know that whilst we are reducing our fixed overhead costs, we are also reducing our impact on the environment". See below as the fitting process took place -The difference is, pun intended, like night and day! As you can see from the pictures, it is a remarkable improvement.